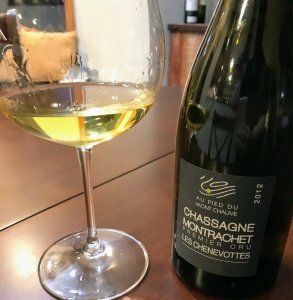 Some quick thoughts on the 2012 Au Pied du Mont Chauve Chassagne-Montrachet from the Premier Cru vineyard of Les Chenevottes. 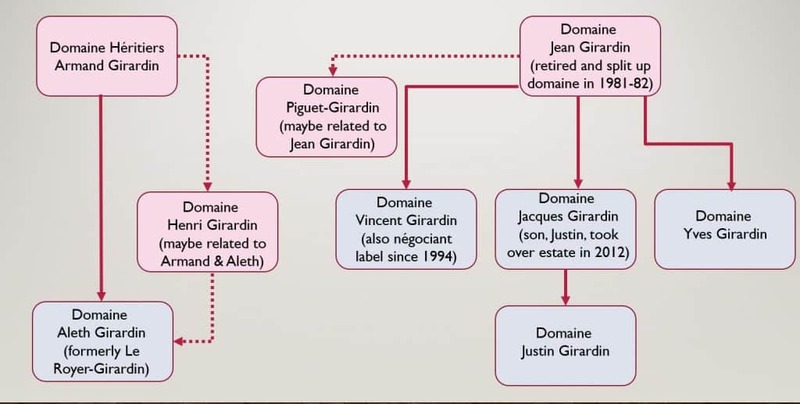 Made by Domaines Famile Picard, owners of 35 hectares (86.5 acres) in the Côte d’Or, most of which are farmed organic and biodynamically. Since 2010, the wines have been crafted by Fabrice Lesne, former winemaker of Maison Nicolas Potel. 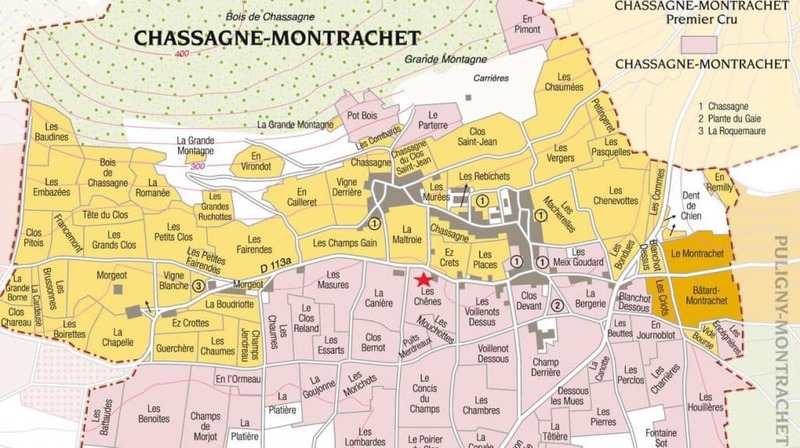 The 1er vineyard of Les Chenevottes in located on the northern end of the village of Chassagne-Montrachet, just southwest and slightly upslope of the Grand Cru vineyard of Le Montrachet with the sites sharing similar orientation and exposure. 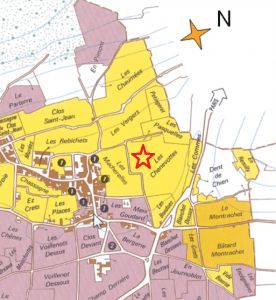 The Picard family’s plot contain 60+ year old vines that are farmed biodynamically. 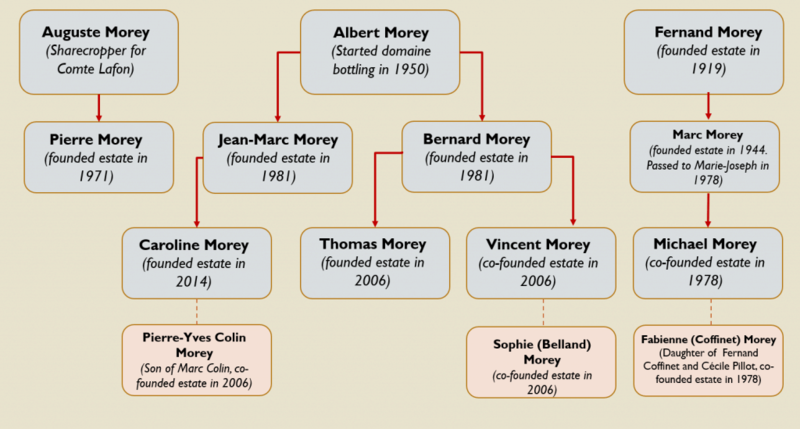 Other notable producers that make wine from this Premier Cru include Pierre-Yves Colin-Morey, Domaine Leroy, Marc Colin et Fils, Louis Latour, Henri Boillot, Louis Jadot, Bouchard Aine & Fils and Gerard Thomas & Filles. Glistening golden hue. Very visually inviting. The nose is medium-minus intensity. Some tree fruit and white floral notes. A little subtle spice. The palate is tight. Medium-plus acidity and medium body. You really have to work it in your mouth, rolling it around your tongue to coax out the fruit. The tree fruits become more defined as honey crisp apple and d’Anjou pear. You also start to pick up some oak spice and a little vanilla cream. On the finish, the acidity leaves you salivating and brings out mineral notes. Once the wine gets going, you start to see an impressive balance of weight & presence coupled with freshness and verve. Everything about this wine is screaming that is a bit young. Its clear that this Chardonnay has a lot of life ahead of it and more story to tell. It’s well worth seeking out a bottle. Right now, the Wine Searcher average price is $74 which is fair for this quality level. I can see it going up to $90 with the wine still over delivering as a “baby Montrachet”. 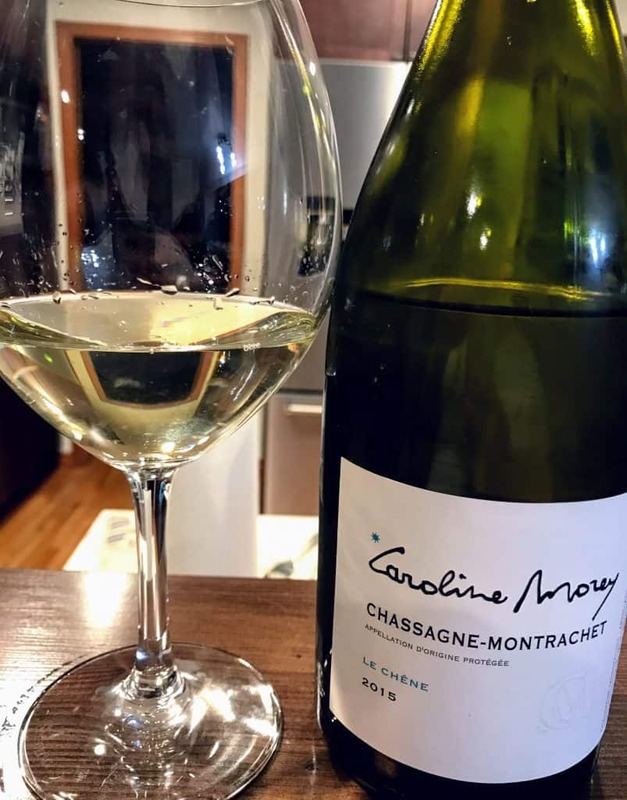 Tagged 60 Second Wine Review, Au Pied du Mont Chauve, Baby Montrachet, biodynamic, Bouchard Aine, Chardonnay, Chassagne-Montrachet, Domaine Leroy, Domaines Famile Picard, Fabrice Lesne, Gerard Thomas, Henri Boillot, Les Chenevottes, Louis Jadot, Louis Latour, Marc Colin, Montrachet, Nicolas Potel, Pierre-Yves Colin-Morey.